I believe I have a word for someone. If you are accused, misunderstood, lied about, then fight. Yes fight. Don’t take it sitting down. Down shut down. Don’t let the devil have his way. Don’t lose your courage. Get your courage, and fight. Don’t fight dirty, but fight. Don’t do something you will regret, but with all that is good, all that is Holy, fight. For you see, there is an enemy, and he does come to kill, steal and destroy. And he will try and deceive. Thats his character. So if you see that characteristic in yourself. It is time to “submit to God, resist the devil, and he will flee.” This is scriptural look it up in a King James. But it must only come by being repentant to God. Are you guilty by association? Are you keeping company with the devils disciples? Are you so cowardly, that you accept wrong behavior? That can get you in trouble. The devil will try and make a lie look like truth. He will twist something so much, that people will believe it. He will legally attack you, if you have opened the door to sin. But if you know better, and this is the key. If you are in truth, and Gods truth, then fight a good fight of faith. The KJV scripture tells us, that there is a place in hell for the accuser. So you better not be doing the accusing, yourself, because you will reap that. Thats being a false witness. NOW I HEARD A LOUD VOICE SAYING IN HEAVEN, NOW IS COME SALVATION, AND STRENGTH, AND THE KINGDOM OF OUR GOD, AND THE POWER OF HIS CHRIST: FOR THE ACCUSER OF OUR BRETHREN IS CAST DOWN WHICH ACCUSED THEM BEFORE OUR GOD DAY AND NIGHT. REVELATION 12:10. KJV. But if you are in the truth, and you have nothing to hide. Then fight, get that courage. Yes, ask God for it, and fight. You see, I am an opened book. And I have just learned, I don’t play games. I seek the truth. I seek answers. And I am careful. No, I have not always had this wisdom. I have not always been in the truth. I had sins, that hurt me. And I have reaped that. But, when I got honest with God, when I got honest with myself, and I saw the deception. I saw how I have lost so much even in my lifetime, I choose nothing but the truth from God. I totally submit to God, resist the devil, and he must flee. I fight…. But I repented. And there is something, I see in people. That holds them back. They have pride. That pride, makes them weaker, not stronger. It takes their courage away. I don’t have pride. To be honest, my mom, taught me early, to apologize. So I learned to apologize to others, and to God. But pride, will blind you, it will blind others. And people would rather, let someone believe the worse about them, then fight. Because that pride will get in the way. Giving my pride to God to take away that sin, gives me courage. I thank God He took my pride away. But what I do have. Is dignity. And I have self-respect. You know you can give that away, by being gracious, as a Christian, but there comes a time, when you have to see who you are in Christ, and fight. And take it back. Recently, I did that, for my own self. I took back my self respect. Because you can let people step on you, by being silent. Silence is not always golden. Silence can be used to manipulate you, or reject you. It can be used against you. But if you are in truth, you don’t have to take that, and you do not have to be silent. Because you can lose it, if you get off balance. Get courage. Courage, to stand up, courage to tell the truth, courage, to fight the good fight, when you are misunderstood, lied about, accused, shows your character. Shows your integrity. So many do not know how to fight. So many do not know how to get courage. But ask God. Yes, He can fight our battles. But He as the example also teaches us and shows us how to fight. He opens doors, He brings light, He brings truth, but be the vessel that has courage, and fight. This is why I fight for Gods truth, for the King James bible. I am tired of seeing people, not know truth. I am tired of letting the devil deceive. I have come to a place, in my own walk with Christ, where I see, how sin hurts us more, and more. One tiny sin, that you think is tiny, can poison your spirit. It can take away your sense of truth, and you will gain pride. Pride is a poison. Yet, I know, we all sin, we all come short of His glory. But I want to be careful in the balance of this. I extend grace because I see that fault in my own. Yet, there is that part of me that will not accept a sin, that could be turned into good. By Christ. His ways are excellence. I fight, using Holy truth, from the King James. And because I see the corruption of false bibles, where there is part truth, part lie, I see how that poisons the true word of God. There is no anointing, there is no power, or holiness in these false bibles. So I fight it with other holy KJV scriptures, and truth. Oh I am accused of being a Pharisee, I am accused of being in a cult, I am accused of being legalistic. But, I would rather, have Gods truth, and law, as my guide, then to think grace would just cover my sins. Think again. I fight, by presenting this truth, over, and over again. Its wrong, in His eyes, its disobedience, and it deceives us, exactly what the devil wants to do. We are tested. By God Himself. And when I think of someone like Job. And I think even how his own friends misunderstood him, and he was judged. I thank God, in his own way he fought. He talked to them. Communication is everything. People do not use it for truth any more, it seems. It seems, they would rather just shut down, then fight for something good. Even in friendship. If you are misunderstood, speak, but don’t play games. Don’t try and make something right if its wrong. You have to take a good look at yourself, in this matter. And you have to be willing to take it to God. And let Him help you, and work it out. But you can. Communicate, fight, and get the courage, when you see the injustice. Pray, and more then anything do not be the problem. Remember, again, we all sin, and come short of the glory of God. But what I am trying to get you to see, no let me rephrase that, what God is trying to get you to see is your heart. Let others see your heart by truth. Don’t shut down. Get some back bone, this is what I mean, when I say fight. The only way you will truly be free, is by Christ, and His truth sets us free. Open the book. Open your heart. Open yourself to truth. If you are misunderstood, accused, or lied about, even by circumstances. Fight. Fighting does not always mean attacking. It means, you take what you have in truth, and it means if you truly do love. If you truly have “heartfelt intentions” then don’t just sit there, shut down, and let the devil steal whats good from you. You only keep the book closed, when…..
You don’t care, and when you don’t care, you open the door to the devil. Its up to you. Show some courage. You might get your self respect back too. Concentrate on the love. Not the differences. Love a brother and a sister in Christ. Avoid, spats, minor, differences of opinion. Pray for others, whether right or wrong, we are called to love one another. Not just by word, but by spirit, and truth, as we worship our Lord. 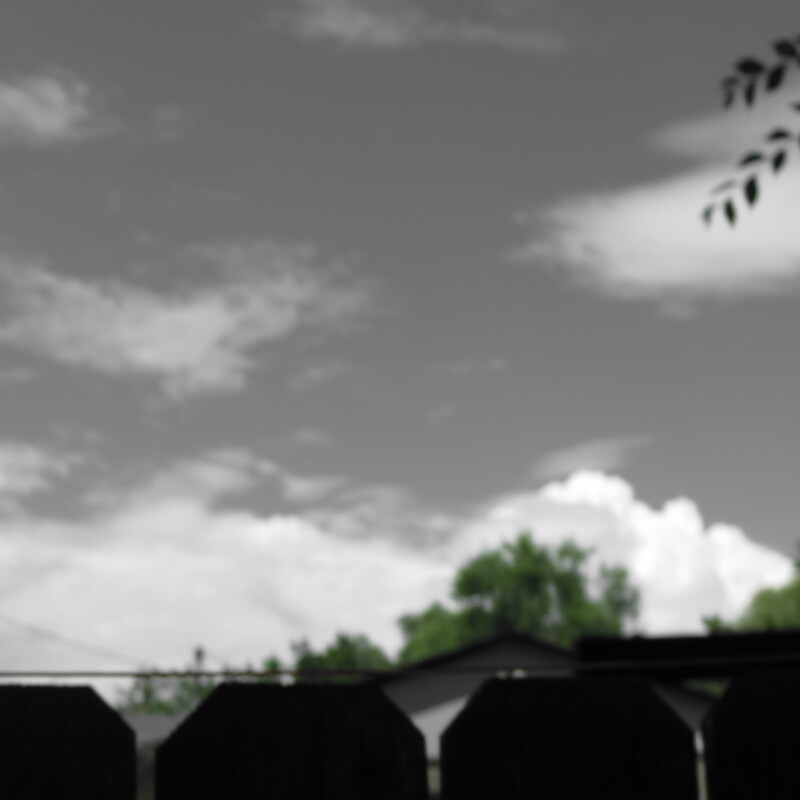 He sees. He knows. Forgive, some things are not even worth pondering on. 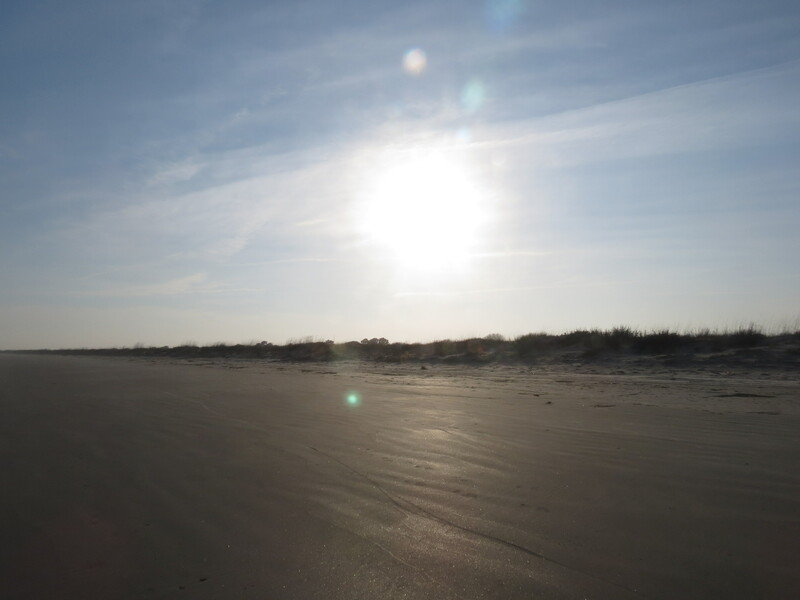 Yes, keep your dignity, in Christ, but as you sometimes shake the dust off, keep walking in love….Love never, ever fails. Love is what Christ said we would be known by. Whether a baby Christian, or a seasoned Christian, does not agree. We are supposed to be on the same side. Love fears God. I do…..
DO YOU EVER ASK WHY WAS I BORN? I am older, but you know you can learn and teach this at an early age. I believe we can learn simple truth, even as a child. And if it takes adulthood to learn it, then change to a child. Sometimes, it takes the trials and errors, the sins, the mistakes, to learn, but, I always say, if I had only known, I would not have done some of the things I have done. I would have avoided, the sins, that took me back. Last night, I had a dream about something I did as a child. I dreamt about the people involved, and I dreamt about my humbleness to them even now. You see, I hurt someone, I knew as a child. I took advantage. I am not proud of what I did, and that is between me and God. And yes, I repented, even then, but it was as if, God showed me, where a gift and calling was taken away from me, because of that. I don’t think I repented, because it was wrong, but because I got caught. Then…. But now, I know. We reap what we sow. Galatians 6:7 KJV. Look it up there. It made me sad. It humbled me again, to know, that yes even mistakes as children, when we should know better, can hurt us down the line. But if we know, even as a child to seek God, He will show us truths. I come to Him NOW as a child. I come to Him humble. I come to seek His wisdom, and guidance, in small things and big things. Sometimes it takes a lifetime to realize who He is, but who we are, and can be. Being child like, now, can have its benefits, you see, we are called to be like a child. In understanding, and growing, and seeking God, it can take a whole lifetime, to even understand, such things. But the goal, is to continue to be a child, in His sight. To be someone, who seeks Him, can take a whole life to understand. Innocence, even if taken away, can be restored, as you lay it down at the cross. But what I have learned, and it just came to me, is that, our lives, however different, are to reflect Christ. To grow, to learn who He is daily. If you have stopped learning, you have stopped growing in Christ. We don’t know it all, and to be hungry, for righteousness, His righteousness, is a gift. No matter what stage of life you are in. Stop being full. WOE UNTO YOU THAT ARE FULL! FOR YE SHALL HUNGER, WOE UNTO YOU THAT LAUGH NOW! FOR YE SHALL MOURN AND WEEP. Luke 6:25 KJV. We can get full, and we can get full of ourselves. Being full can be a sign of spiritual decay. Hunger for that which is beyond our grasp. But that can only be fulfilled in Christ. Hunger for His righteousness. Self does have to die, so one can live in Christ. The old man, the old ways. Ask God to do a work in your soul. Repent, for being full. Repent, for just being lazy, or not even searching. Friend, all I know, and I wish I could put it in words for you, exactly, but it takes a lifetime, sometimes to find ourselves in Christ. To find out who He is. But along the way, give Him glory, honor and praise. Stir yourself up, in love, for His glory, and so others can see your light that shines. Don’t give in to the darkness, don’t take the bait, of the enemy. That tells you its too late, or you or a loser, or you will never amount to this or that. Use what God has given you. Repent, repent, repent. I just know, that is such an important factor. Truly walk in love with others. Be kind, be accountable. Be someone, who reflects Christ, by love. Keep seeking Him, and you will find that path, in your life, as you trust Him. Why is any of us born? To know Him, to give Him glory. You can bring light, to someone who is in darkness, but you have to shine for Him, and in Him. Someday, we will stand before Him. The books will be opened, it will reflect what you and I did. This is your chance. In this lifetime, to seek Him, to make it right. You can change the ending. Like a story, that you think has a definite ending. It can change, by making it right with Jesus. And then just keep growing. In Him. Just get hungry for Him, His presence, His fellowship. His kindness. Then you will know the true reason why you were born. Don’t undermine someones pain or sorrow. I tell myself this as well, because I have learned to put on my own armor, when I see, or sense pain or sorrow in myself, and others. I have to keep my armor on. Or I would fall apart. I would not be effective for the Kingdom of God. I cannot walk in my way, but the way of Christ. So no song of self-righteousness, will make me stronger. But the righteousness of Christ. Not my self-righteousness. So when I see people with no compassion. No understanding, no comprehension of someones pain. Including their own. I wonder why they react the way they do. No one, understands our own pain, more then Christ, since He suffered for our sins. For He was compassionate, He was love, He was truth, He was a Physician, He was so much more, that we have to use as an example. But we have to go to Christ. I know I do….and I do. When I sense silence, or no offering of compassion, to those that are hurting. Or if I see someone being mean spirited, I wonder why is there no sense of compassion? You see, we never know, why people are the way they are. What contributed to their coldness, or their passiveness, or even their own mean spirit. So many times, you see people who are rude, or mean, but they don’t know how to give it to Christ. In fact, many that are that way, deny God. So when people deny the only true source for healing, they use others as a scapegoat for their pain. They get self-centered, selfish, and prideful. And you have to look real close, or you will not have compassion for that miserable soul. I don’t often share my own pain, or sorrow, because I have learned to give it to God. I have found people don’t always know how to react to others pain. Or how to console. Yet, there are things that it just does not seem as if they will heal in my own life, until I stand before God. So I sometimes hide my pain, or saddness. And all I know, is that, I cannot lose my sense of who God is, amidst the pain I sometimes feel, and let that control me. I cannot. But it does make me look at people through eyes, that have hurt, to give someone compassion. Sweet kind, and beautiful compassion. Compassion, that is love. That Christ told us to give to one another. Even our enemies. How wise our Lord is. How everything connects, when we use love. How it solves problems, heals wounds, and brings peace. It is a commandment. So as I write about this, please think about how you deal with people. Maybe you have reason to be angry with someone. Maybe someone has hurt you deeply. Maybe, though, if you tried to understand, what molded them to be that way, you can release your own forgiveness, with compassion, to not react with an eye for an eye to them. Maybe you can stop someone from doing mean, or evil, because you are compassionate. God only knows why people are the way they are. But I have learned, on my own. I don’t have to embrace that kind of spirit, to grow. To grow in Christ means, I have love, for others, and myself, to not get caught up in things. I just pray, for those who are grieving, angry, or hurt. Maybe you will have this pain, or sorrow, that I understand, that does not seem to go away. But I pray, you are always comforted with love. I never want to undermine your pain. But don’t undermine my pain either. And why I search for God so much. Unless you have walked in my shoes, or I in yours, all we can do is comfort each other. But to be mean, and to devalue your pain, or mine, is not productive. What produces fruit in our lives. Is love….with compassion. WHO CAN HAVE COMPASSION ON THE IGNORANT, AND ON THEM THAT ARE OUT OF THE WAY, FOR THAT HE HIMSELF ALSO IS COMPASSED WITH INFIRMITY. HEBREWS 5:2 KING JAMES. FINALLY BE YE ALL OF ONE MIND, HAVING COMPASSION ONE OF ANOTHER, LOVE AS BRETHREN, BE PITIFUL BE COURTEOUS. AND OF SOME HAVE COMPASSION, MAKING A DIFFERENCE. 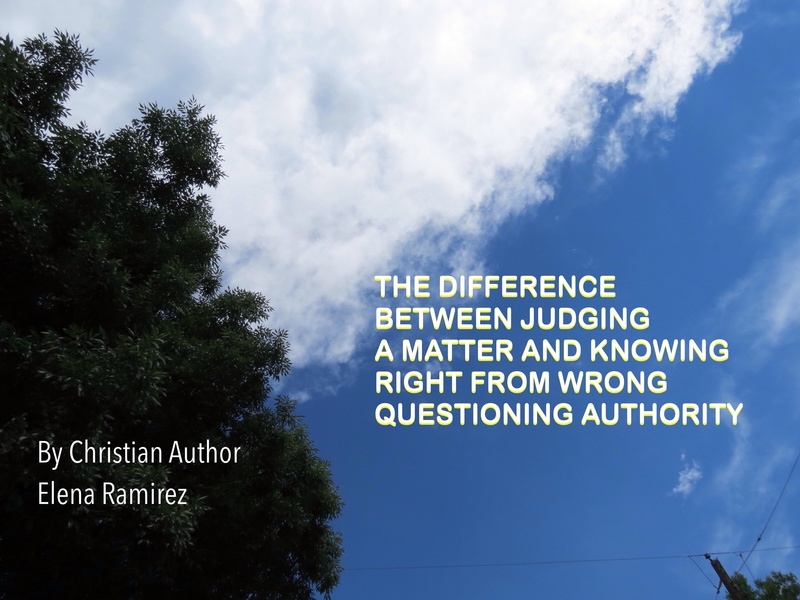 Yes, there is a difference between judging a matter, and knowing right from wrong. Yes, I question authority. I question it in all aspects, and I do not always take what someone says as truth, unless it is according to Gods Holy word. My King James Bible. Recently, a very high profile ministers wife, said something very disturbing. And I question it. Some might say, I was judging. Some might say, “touch not my anointed”. Some might even say the devil is an accuser. But when you know right from wrong, I question authority. I know what the scripture says. And in my heart, first and foremost, I want to please God. Not man, not people, and not myself, as this high profile ministers wife said. And implied strongly. That is self. That comes from the devil. Self- is always a characteristic from the devil. “Do good for your own self” as she said… Is the way of the world thinking. This kind of thinking is thinking in the flesh, and not in the spirit. The spirit of the Holy spirit. It is a spirit that comes from hell itself. And we have to be mindful, of carnal thinking. And it is not bad to do good for yourself. My problem, and that what I considered was bad in knowing right from wrong, was that it undermined God, as if He was a second thought, to be obedient. As if making ourselves happy, was the priority. Those were her words. Look for the video, by these key words to know the difference, but I won’t list it. But what He wants is obedience, because we love Him first and foremost, the fear of God, as I share in my scripture below. And not believing every “Feel good message” because again that is demonic. And that was what was wrong. Oh friend, giving God glory, and putting our own thinking to the side, makes the difference. I know the spirit of it, and I know when we try to put ourselves first, and make God an after thought, as she implied, its wrong. Am I judging, no I am trying to teach someone, who might not know Gods word, to know the difference. So I question it. If I was judging, I would give a sentence, or a fine to pay, like in some religions. God almighty, will have the final word, and be the judge in this matter, and all matters for that consideration. We are judged by our words. And either our words will justify us, or condemn us. The words that she spoke, will either justify or condemn her. And the thing is, people do not realize that when we speak, we are either being judged, to either be justified or condemned. One cannot just say something, and not have it considered, as either right or wrong. A good man out of the good treasure of the heart bringeth forth good things: and an evil man out of the evil treasure bringeth forth evil things. But I say unto you, That every idle word that men shall speak, they shall give account thereof in the day of judgment. For by thy words thou shalt be justified, and by thy words, thou shalt be condemned. Matthew 12:34-36. Another reason, why I only choose King James words, because there is too much corruption in other Bible versions, where meanings are distorted. I want Gods holy word, the purest form by the King James, that has not been revised. So I can know Gods heart. Judging, no? But knowing right from wrong. Am I judging someone even publishers, who have revised Gods holy word and saying they are evil? No I am saying in this teaching moment, that I know the difference as right and wrong. This is why I make the distinction, even in passing. I am not judging it, I am questioning, why would you say this? Because it was wrong. When we have the privilege to be in contact with others, we have a responsibility to know Gods Holy word. I know my King James Bible, and I do question authority. I have been in situations where authority, misunderstood, and even judged me. I think of Christ in this example, and how the Pharisees misunderstood Him. They judged the Son of God. Christ knew right from wrong. And He was the living example of the truth. Even Pilot said, what is truth? No one taught Him truth. Christ would have if He had the time. So I use my time, now, to teach this distinction. But if I can even spare someone and say no, like I did in this situation, this is not judging. I am trying to teach someone that there are some things that are just wrong. This was a teaching moment, not a judging moment to say…God is always the priority. Gods word, is first and foremost, and its not that difficult to comprehend. If you make God your first priority, the rest will follow. The blessings, the understanding, the knowledge. But if you put self first as this woman implied, you are doing your own soul a disservice. Be not wise in your own eyes, but fear God, if you fear God, you take to heart what the Holy spirit says to you. Be not wise in thine own eyes: fear the Lord, and depart from evil. Proverbs 3:7. And it told me as I read that, that is wrong! I did not judge, I saw the lies of the enemy, and I know right from wrong. And I did it, to warn others, because God loves them and because right is right, and wrong is wrong. This was a teaching moment for me to use truth to warn others. And like a good friend of mine, whose opinion and mine seem at odds with one another said, that “It is kind of hard to defend someone, when they should know the truth. But Christ can defend her, and this is what we pray for as she learns the truth. Because the enemy, wants all of us to be in confusion, and her being in a high profile place, makes it look like she should know better, but she does not in this instance. I pray for this woman, for she should know the difference. I pray, her eyes are opened. I pray she repents. I pray she makes a wrong right, and sees the difference. Will I name her? No the moment has passed, but maybe someone will show her this, to show her, God is always the priority, not self. Yes, I question authority, and I recommend you do too. Not only to learn, but to know the difference, but you my friend, get into Gods word, a good King James bible and know it for yourself. So you can please God, not people, not even yourself first, but God. And as I am about to close, I also want to make the effort to say I love this ministry. This man of God, and His wife. I do. I have gone to see them and tuned in. I have not always agreed with their methods. Especially when it comes to watering down the gospel. But I have loved them. And I still do. You see, when I say all this, I say it because if we love each other as brothers and sisters in Christ, you want them to grow. Because they have access to make a difference in the body of Christ. And really, its all for Gods glory, if we do it in love. So I hope I am forgiven too, but again, my heart is to please God, first and foremost. And I share all of this humbly, because I am not always right. But God is. And when I make Him the priority totally, I can be right, and I can know the difference, without judging. I can understand. And this is what we all need to do to grow. And ye are puffed up, and have not rather mourned, that he that hath done this deed might be taken away from among you. For I verily, as absent in body, but present in spirit have judged already, as though, I were present, concerning him that hath so done this deed. In the name of our Lord Jesus Christ, when ye are gathered together and my spirit, with the power of our Lord Jesus Christ. To deliver such an one unto satan for the destruction of the flesh, that the spirit may be saved in the spirit of the Lord Jesus. Your glorying is not good. Know ye not that a little leaven, leaveneth the whole lump? Purge out therefore the old leaven that ye may be a new lump, as ye are unleavened. For even Christ our passover is sacrificed for us. I Corinthians 5:2-7. Let all those that seek Thee rejoice and be glad in Thee: and let such as love Thy Salvation say continually, Let God be magnified. Psalm 70:4. I want to wish all of my fellow AmerICANS, a blessed and happy fourth of July. To those who honor this country, who have served this country, by going to war, or just being a good American neighbor, I salute you, and thank God for you, and yes I thank God. So I am getting ready to celebrate with my family today, and I wash my little American flag shirt, hang it out, and I get this thought…. That it looks like the country, on a map. And in that moment, I contemplated my blessings as an American. And I am so grateful to God that He gave me this heritage to be an American, and a Christian, where we are free in this nation. Our freedoms, exceed the boundaries, in so many ways….. I am so glad to be an American. That I am overwhelmed in this moment, with great emotion that it is such a great privilege. 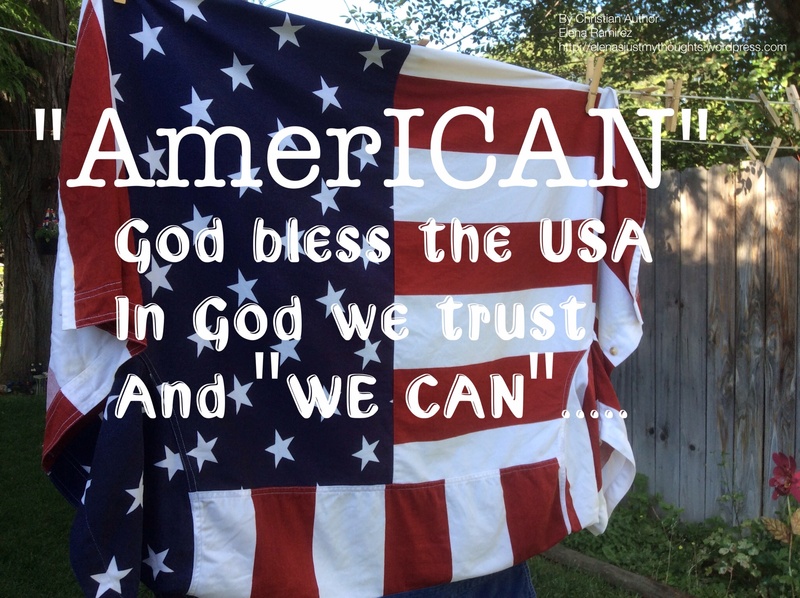 I am so grateful to God, that in this land, we are given opportunity, and we can….I can as an American….So can you! We can, stand. United we stand, but divided we would fall. And so as I share these thoughts, I pray, we would see truth. As Americans. For, we can do great things, we can be successful. We can stand up for that which is right, we can defend the hurting, and defenseless, we can make a wrong right, and we can always be victorious. There are so many opportunities because of our freedom, and the heritage we have as Americans. But I think sometimes, we forget who we are. I think we take things for granted. I think, we have lost our way in some ways…And I think, we have forgotten God and who He is, and why this nation is great. I love America. Yes, I was born and raised in this great country. I am a fourth generation American and my Father, and Grand father served in the United States military. So I know my heritage…. I have in my lifetime, seen this country be great because of who we are, as a nation, and because yes, our foundation was built on God. Our Constitution, our blessed Constitution, that our forefathers wrote for us, they knew, the potential of this great nation. Because they knew God. They never intended for God to be taken out of our public, or our freedoms…. And I wonder, why things are the way they are now, but yet, I know, we can overcome, and we can do great things still. But I pray, we repent, and turn back to God. Are we reaping sin, because we allow some things, that go against God? You see, it is God that has made this nation great. It is God, who has established His ways, and commandments, for us to follow to be blessed. But if we turn away from His truth, and the truth even from our Constitution, we will not be blessed. If any of us turn away, from what Christ did, to pay the penalty of our sins, not only are we lost as a nation, but lost individually, and our souls, have no refuge. I pray that America, even this fourth of July, would seek God. Individually, and for our nation. I pray we would honor our soldiers, who have given their lives, and they would have freedom to seek God as they choose. I pray, things would change to the good, but only if we seek God. So many of us, are discouraged, but God has a plan. If we keep trusting God, I know we can. I fear, what could happen, if we do not get right with God. We need to wise up so we can be blessed more so, and avoid things, I cannot even fathom, or put into words the great tragedy I sense. Yet, this could happen, if we don’t see the direction we are going as a country…. So, I pray we get back to what counts in the eyes of God. I pray, we change our ways, and in God we will trust, to be great AmerICANS. Happy fourth of July….. Remember my American friends, we can do all things through Christ who strengthens us. I CAN DO ALL THINGS THROUGH CHRIST WHICH STRENGTHEN ME. PHILIPPIANS 4:13. BLESSED IS THE NATION WHOSE GOD IS THE LORD; AND THE PEOPLE WHOM HE HATH CHOSEN FOR HIS OWN INHERITANCE. PSALMS 33:12. IF MY PEOPLE, WHICH ARE CALLED BY MY NAME, SHALL HUMBLE THEMSELVES, AND PRAY, AND SEEK MY FACE, AND TURN FROM THEIR WICKED WAYS; THEN WILL I HEAR FROM HEAVEN, AND WILL FORGIVE THEIR SIN, AND WILL HEAL THEIR LAND. II CHRONICLES 7:14. May God bless the USA as we bless God….